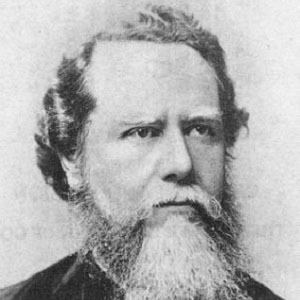 Notable for founding an organization known as the China Inland Mission, this Protestant missionary opened more than one hundred schools in China and brought about the Christian conversions of close to 20,000 Chinese citizens. After briefly studying medicine at the Royal London Hospital, he traveled to China for the first time with the newly formed Chinese Evangelisation Society. Unlike many other European missionaries, Taylor dressed himself in Chinese clothes and displayed his respect for Chinese culture. Also notable was the fact that he allowed Protestants of many different denominations to take part in his mission work. With his first wife, Maria Jane Dyer, he adopted a Chinese boy by the name of Tianxi and raised biological children named Grace, Herbert, Frederick, Samuel, and Charles. Following his first wife's death, Taylor married and had several more children with Jane Elizabeth Faulding. He and William Borden were both late 19th and early 20th-century missionaries to China.